Johannes is an Open Source enthusiast working for GitHub (https://enterprise.github.com) as Principal Solutions Engineer. In his current role, he is helping large companies in the DACH and Eastern European region to build and ship software better with GitHub. 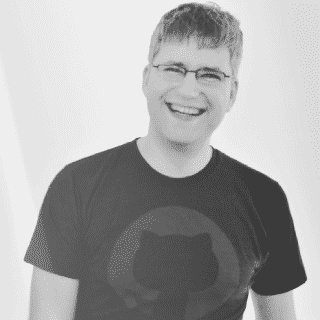 Before his career at GitHub, he was leading multiple Java development teams across the world building large Git backends and integration platforms as Director of Engineering for CollabNet. Johannes holds a Master of Science from Hasso Plattner Institute Potsdam and is a certified Scrum Master, Product Owner and Jenkins Engineer. Development is always changing. The software frameworks we use go in and out of fashion all the time, but how much has the process of development itself changed in recent history? Developing new ways of development has to happen to move software forward. The talk is about the type of innovation whose technology is already proven, but has barely reached mainstream development yet – Innovations in the areas of security and semantic code analysis, mixed with the advancements in machine-learning on large development activity data sets and Open Source community research. The audience will (hopefully) leave with a believable vision for what coding might look like for the next generation and get an idea what kind of programming jobs will continue to exist in 5 years and what programming tasks will already be partially automated by robots.